If you’re new to Podcasts you may be thinking, Say what? 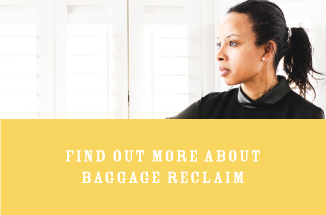 So I’m going to break it down for you on how to subscribe to The Baggage Reclaim Sessions. But first things first: what is a podcast? It’s a digital audio file made available on the Internet for downloading to a computer or portable media player, typically available as a series, new installments of which can be received by subscribers automatically. 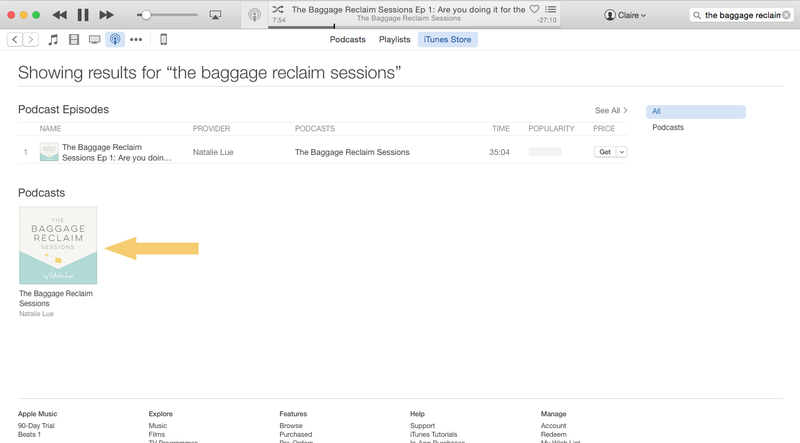 So you subscribe and then get my weekly podcast, The Baggage Reclaim Sessions updated to your device automatically. You only need to subscribe once. 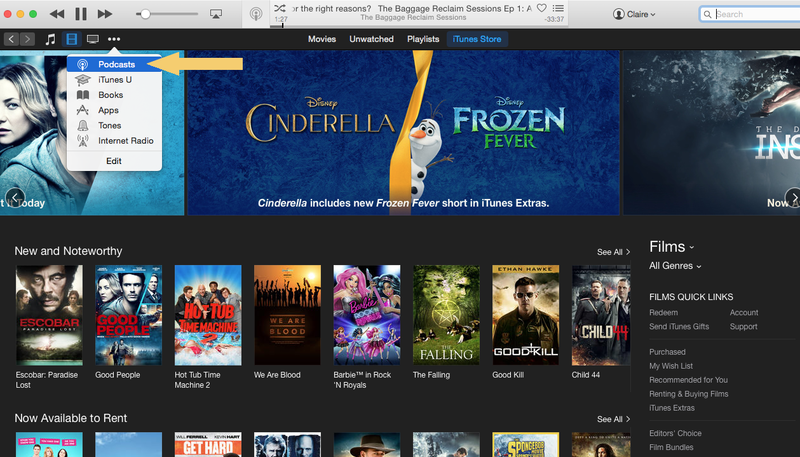 Step 1: From the Subscribe via Tunes link, click the blue “View in iTunes” button. 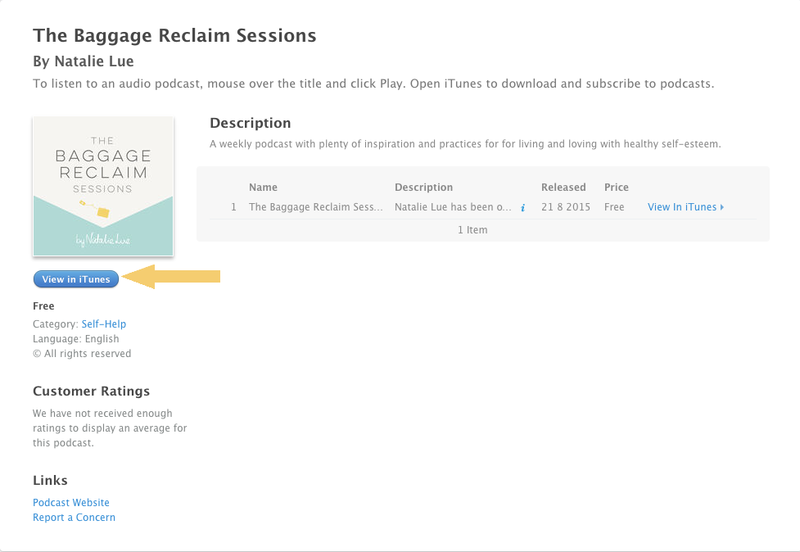 This will launch/open your iTunes application directly to The Baggage Reclaim Sessions. Step 2: Click the “Subscribe” button to subscribe. That’s it! Step 2: You’ll need to sign in or set up an account. And that’s it. You’re done! Step 1: From your phone’s home screen, open up the App Store application. Step 2: Once the app is open, press the “Search” icon at the bottom of the screen and search for “podcast app”. 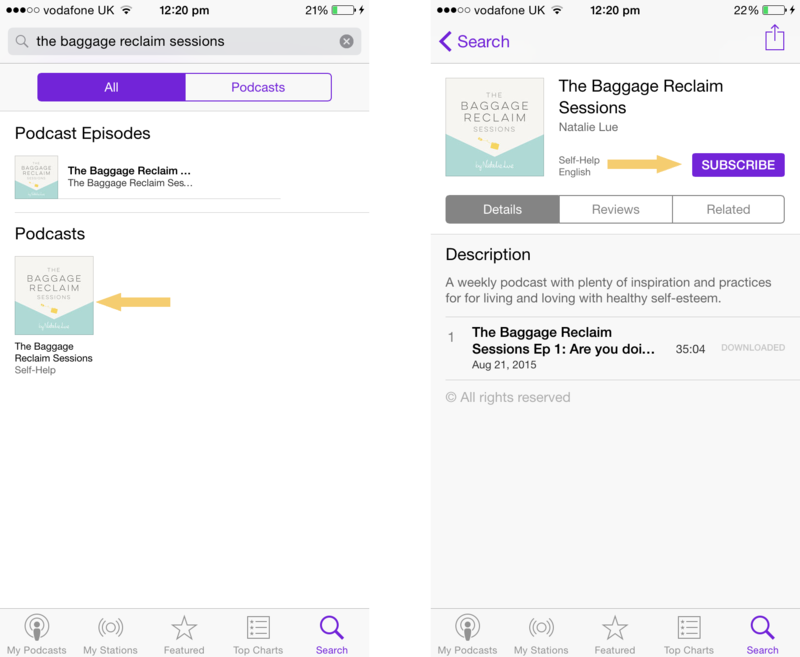 The Podcast app will appear for you to download. 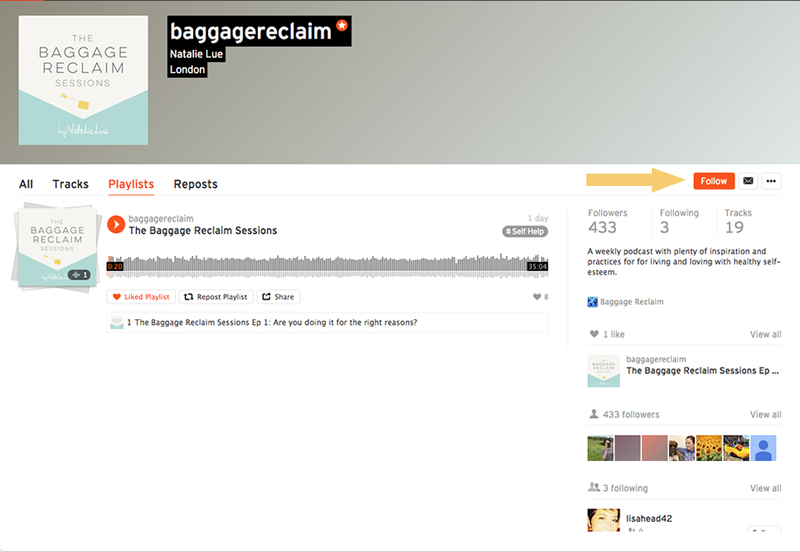 Step 4: Click the “Search” icon at the bottom of the screen and type “The Baggage Reclaim Sessions” into the search bar at the top of the screen. The podcast will then appear in the main page area. Step 5: Click the large image under the “Podcasts” title. Step 6: Click the purple “SUBSCRIBE” button to subscribe. If you like what you’re hearing please, please leave a review. To do this on iTunes, just follow these instructions. 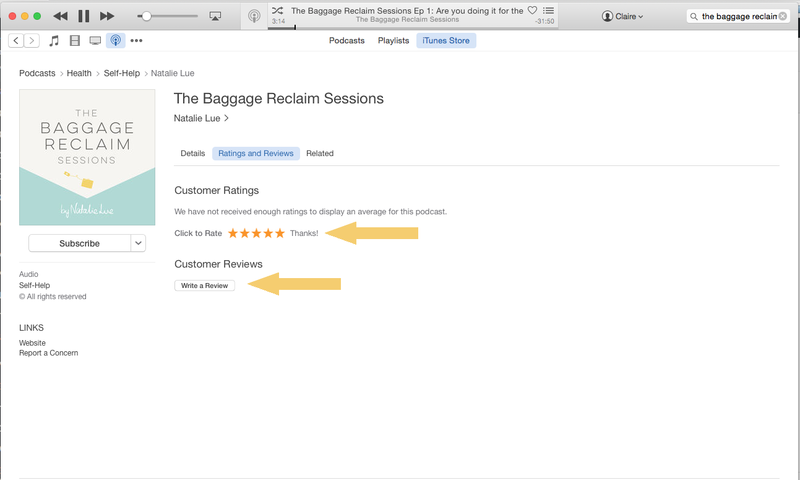 Step 3: Click on Ratings & Reviews and add leave your review. That’s it.